Hopeful Giraffe is an hand drawn typeface created by Jean Boyault and published by JBFoundry that it comes in two styles with two stylistic sets and the aspect of text can be modulate in many different ways. 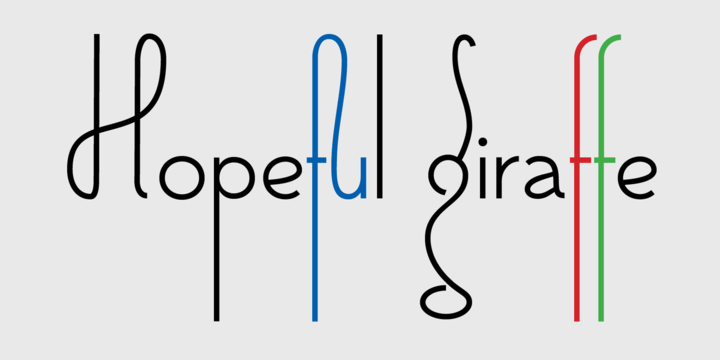 “Hopeful Giraffe” is a trademark of JBFoundry. A font description published on Friday, January 31st, 2014 in Fonts, JBFoundry by Alexandra that has 3,529 views.